Let’s start with upper elementary Common Core State Standards. This idea on Pinterest is for a journal entry. It is called Shapes. The students drew examples of the shapes such as a square. Then they described its attributes underneath such as naming the lines that were parallel, the lines that were perpendicular, and naming the types of angles each was. I particularly like the added color codes for analyzing the angles on the shapes as well as the lines. This activity really connects with Howard Gardner’s multiple intelligences of logical-mathematical, visual-spatial, art intelligences. It also connects with the following student modalities for learning: visual, and tactile. This lesson is perfect for a large group mini-lesson. 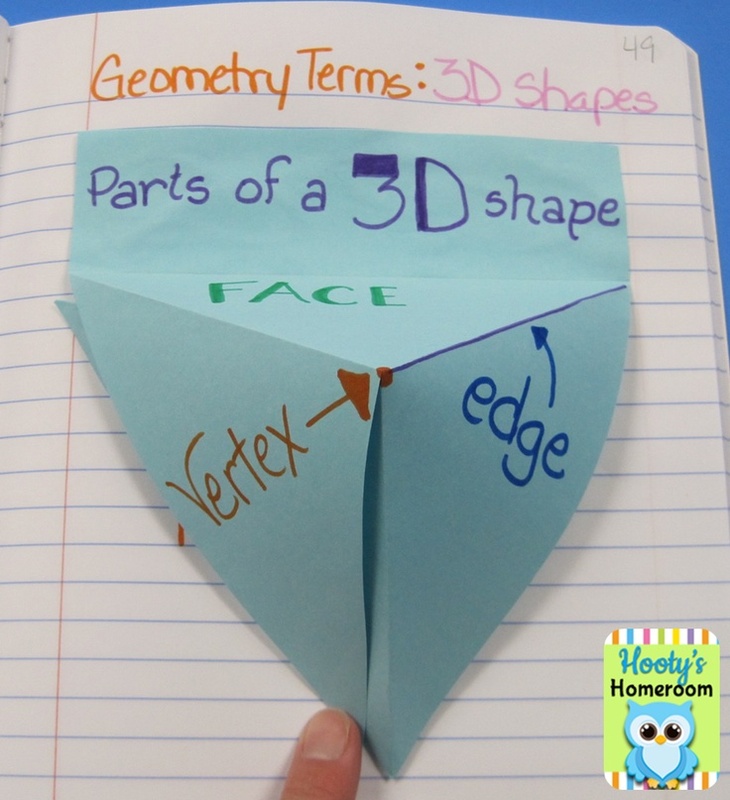 Another activity for geometry standards is for learning 3D shapes. 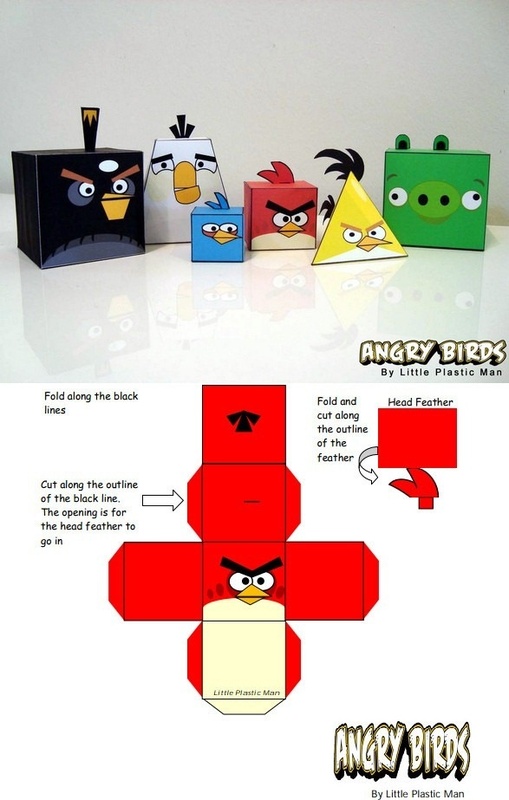 What better way to than with the famous Angry Birds. 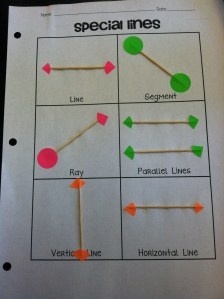 Kids will love these and learn at the same time about geometry! This activity includes the cut-outs that the students then fold to make cubes, triangular pyramids, and more. 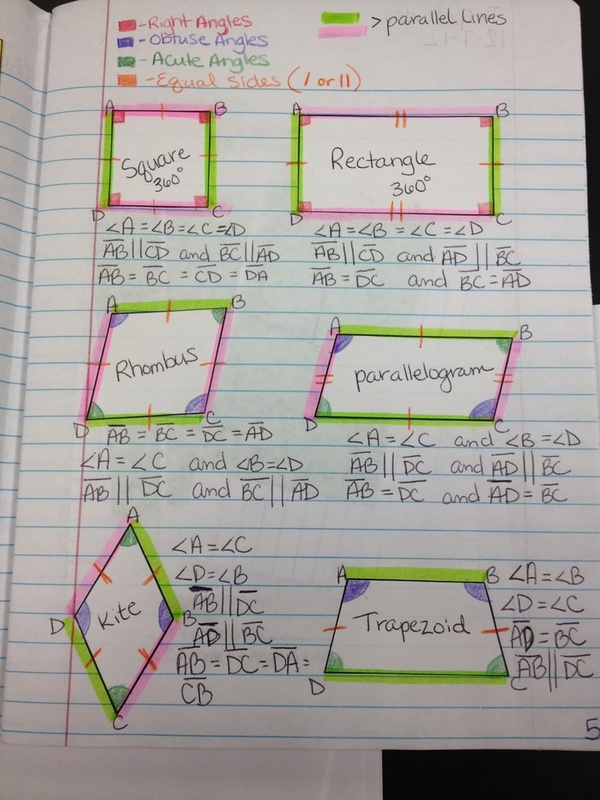 Here are two ideas that teach understanding of lines and angles. These two activities engage students in the concepts and their distinct attributes. Third and Fourth grade students will benefit more these abstract geometry lessons. These activities could be used as a large group mini-lesson or a teacher led small group activity. For those teachers that feel adventurous, the Geometry Lines activity could be used as a project based student learning activity. Put the terms and pictures on the interactive whiteboard and give the students the materials with the directions to recreate these terms on their paper. One last activity to showcase here is a representation of a 3D shape with the parts named: face, vertex, and edge. What student wouldn’t love making this? What student wouldn’t remember the terms after this project!!! It even looks like it might be part of a math journal. For more ideas go to my Pinterest page.